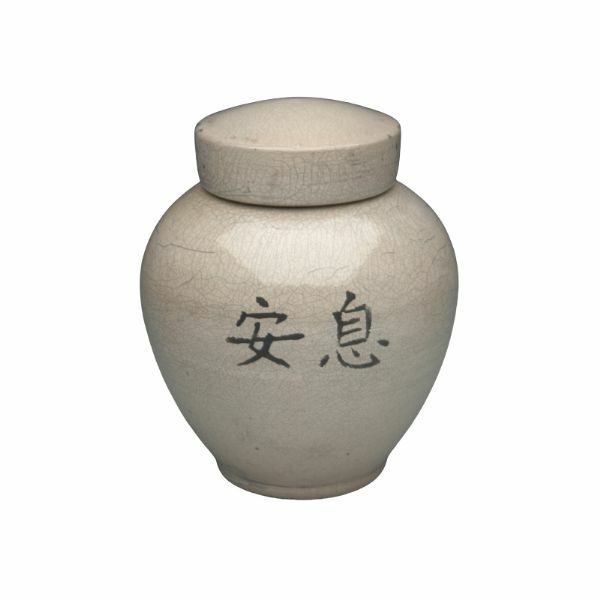 The Asian Calligraphy Raku ceramic keepsake cremation urn is crafted in the shape of a contemporary style vase with a top-opening lid. If is finished with a White Crackle glaze and an Asian Calligraphy silhouette. Since each Asian Calligraphy Raku urn is special and one-of-a-kind, please allow for slight variations in color, texture, and size.